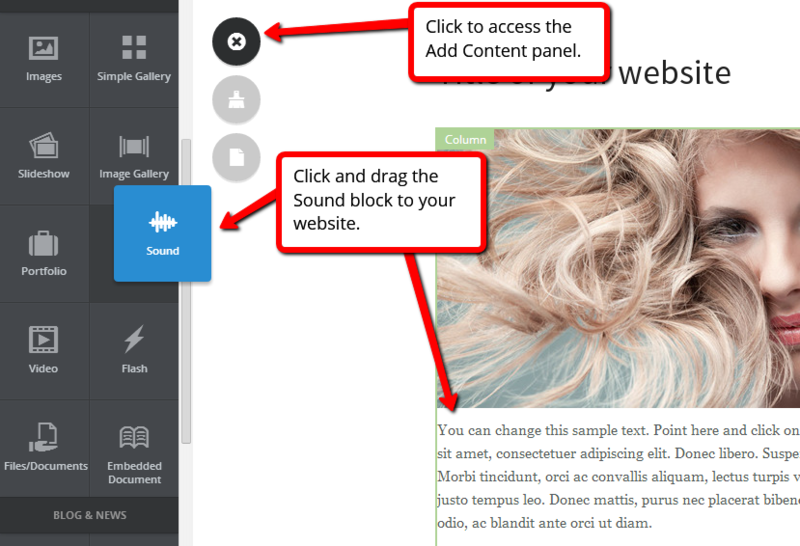 In this guide, we will look at how you can add sounds to your website. Mouse over the content block to show the Settings button. Is it possible to play music across the whole website? Unfortunately not. Sound is played on the page where the sound block is positioned only. When moving to a new page the sound will stop. 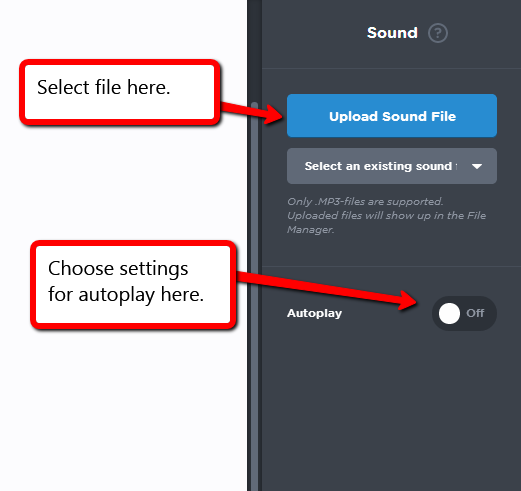 If your sound file is not supported (see the list below), you could try to convert your file to .mp3 by using the media.io online converter.